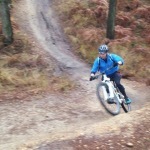 I was lucky enough to get to test the new Aeris full suspension from Bird Cycleworks round Swinley Forest. I didn’t get a massive amount of time riding the bike, but wanted to share my first impressions of it, which were very positive. 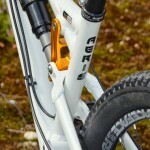 The Aeris is Bird’s first full suspension bike and only their second bike. The new company have been going from strength to strength and it’s hard to believe they only launched last year. 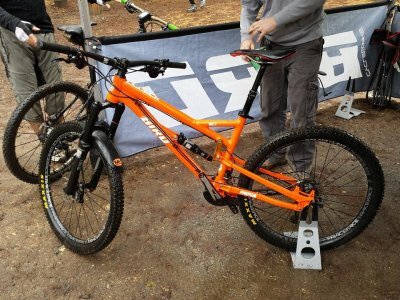 I had been looking forward to trying the bike ever since discussing it with designer Dan Hodge at a Zero test evening and it was great to ride it around the place it was designed at, Swinley Forest. 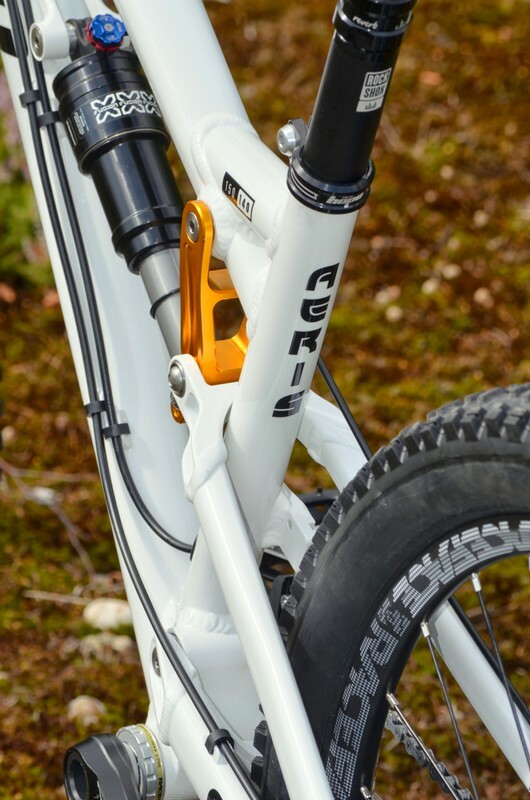 Currently on pre-order (some lucky customers are getting their bikes now), the Aeris is a 140/150mm full suspension aimed at the ever popular enduro sector. Fabricated from 6061 T6 the frame has a tapered headtube with ISG05 mounts and seat tube lengths designed specifically around Reverb dropper post lengths. This also means really excellent stand over height (something key for me personally!). The rear suspension is a 4 bar horst link design with 140mm and 150mm travel modes and variety of shocks available. The overall design of the bike follows a long top tube/short stem approach (a Bird’s own 35mm stem to be precise), combined with a low centre of gravity and long stable wheelbase. The rear shock joins the top tube at the place, regardless of the size of the bike. Dan wanted each of the 5 sizes of the Aeris to have the same rear suspension feel and action, which is so refreshing to hear. 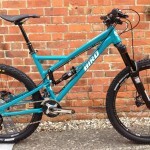 Paired to the frame are a variety of forks options, the main two being the excellent Rockshox Pike and the X-Fusion Sweeps. My bike came equipped with Pikes which were excellent, although I also had a quick ride on the Sweeps. Now the Sweeps are half the price of the Pikes, but a very good fork that worked well with the bike. The bike I rode was actually Traharn Chidley‘s race bike, so not a complete spec as you see on the price list, but Bird will customise your bike however you want it anyway. So the bike was an Extra Small Aeris in white (which is not a launch production colour, but looked brilliant), with Rockshox Pike’s, X Fusion O2 RCX rear shock, Shimano Zee brakes, XT/Raceface 1×10 transmission with Hope expander cog, Raceface bars and grips, Charge saddle and Reverb dropper post. Although that’s a bit of a custom spec, everything on the bike will be available – just a question of fine tuning which ever model you want to start with. There are a variety of models available to start with, the cheapest being the Aeris 3, which has Deore groupset (or Deore with Raceface chainset if going for the 1×10 option) and X-Fusion shocks front and rear for the frankly bargain price of £1550. The brakes are M695, not some older OEM models passed off as Deore, and the frame is identical throughout the range, so you are getting a phenomenal amount of bike for that price, that could still be upgraded in future. The next model up is the Aeris 2 which has a big price jump to £2275, but an equally massive jump in spec. 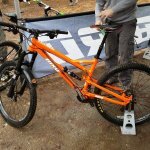 SLX replaces Deore throughout, lighter wheels, the shocks move up to Rockshox Pike and Monarch RT3 and you get a Reverb dropper post as well. So definitely worth the extra money, but I worry some people might be put off a bit by the 50% price jump between the models. That would be a real shame and would be misunderstanding the customisation options available from Bird. However, this is where their direct business model comes into its own and if you contact them they will be happy to talk you through all the options. As an example I enquired about making my own “2.5” model with upgraded wheels (DT E1700 S2s), which actually only increased the price by £125 – well worth doing for the drop in rolling weight in my opinion. Downgrades are also an option – so I started with the Aeris 2, swapped the Reverb dropper for a static post and upgraded the shifters to XT and tyres to Maxis Premium for the better compound. 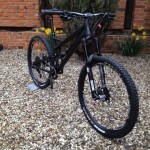 That gave a brilliant spec bike for only £2099. So talk to Bird if you’ve got similar thoughts, as their customer service is excellent and they can spec whatever you can think of. So how does the bike actually ride? Brilliantly! My main ride is a Kona Process 134, which I love for its downhill stability and general “want to go faster” feel and low standover height. I’ve tried lots of bikes, and ignoring the standover problem that rules a lot of them out for me, the Kona beat them all for me – until I tried the Aeris. In fact, after I went home from the test ride I wanted to put my Process up for sale straight away – the Aeris is that good! So apart from its excellent standover clearance (please more manufacturers take note! ), the Aeris has all the elements I love in a bike – great stability at speed, plenty of agility and steering feedback, low centre of gravity – as well as “fixing” the bits I don’t like about my Process – much better climbing ability and significantly lower weight. The balance of the bike is brilliant – I was able to make the most of the suspension travel, which is something I struggle with being a low weight and Dan has really succeeded in enabling each size work as well as the next. I loved the Aeris – brilliant ride, amazing value for money and complete customisability for fuss pots like me! If I was shopping for a new bike now, it would be top of my list. In fact if I had the extra money after selling my Kona, I’d be ordering one now too! The best thing is you don’t have to take my work for it – get in contact with Bird and they will hook you up with a test ride. 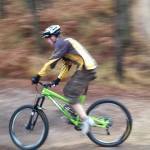 You can get one from their HQ near Swinley Forest, which is a great place to test ride one, but there are other test centres and events springing up. 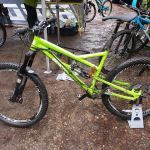 Most recent is Pedalabikeaway in the Forest of Dean where you can rent an Aeris, but you get a voucher for the rental price off a new Aeris. So go for it, you won’t regret it!